The more developed a country is, the smaller the percentage of household income it spends on food. 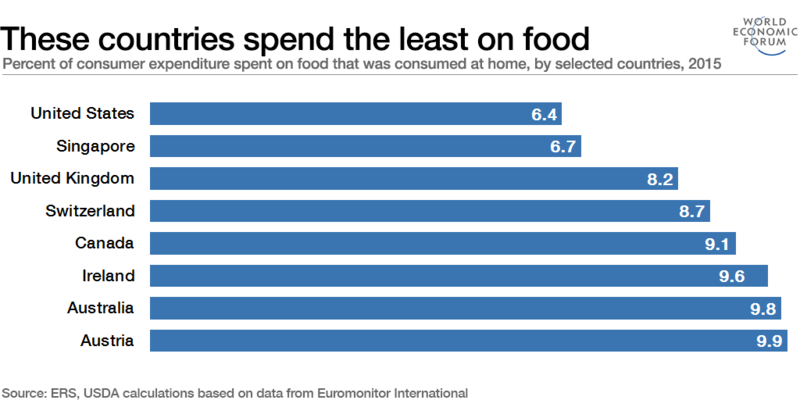 Americans spend just 6.4% of their household income on food. That’s according to the latest figures compiled by the US Department of Agriculture (USDA). Generally speaking, the more developed a country is, the smaller the percentage of household income it spends on food, as this map shows. The figures do not mean that food is more expensive in Nigeria than in the US. In fact, quite the reverse. The average American spends $2,392 per year on food, the average Nigerian half that: $1,132. 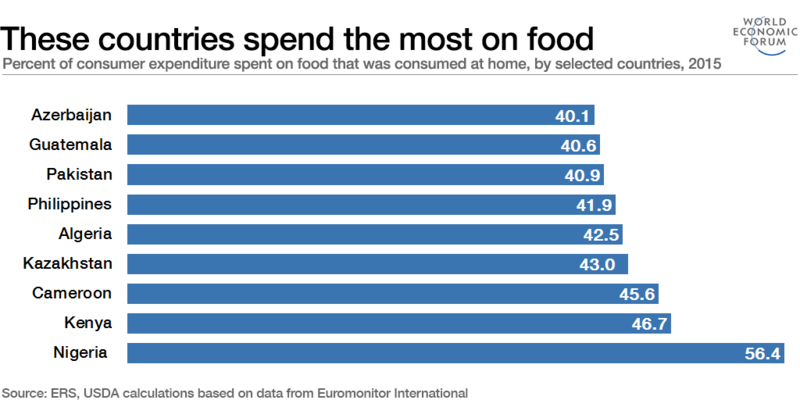 The average Kenyan spends just $543 a year on food. Over the past 25 years, the poorest 20% of households in the US spent between 28.8% and 42.6% on food, compared with 6.5% to 9.2% spent by the wealthiest 20% of households.